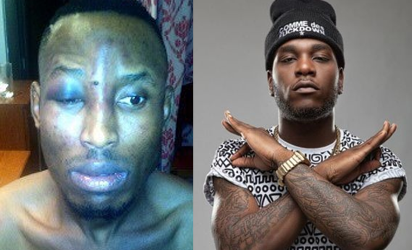 Following the Lagos State Commissioner of Police, CP Imohimi Edgar’s announcement on Monday, declaring controversial dancehall singer, Damini Ogulu, better known as Burnaboy, wanted, in connection with the robbery and assault case on singer, Mr. 2Kay, which occurred on October 22, 2017, in his room at Eko Hotel and Suites after performing at 2Face’s Buckwyld and Breathless Concert, Mr. 2Kay has come out to say that he had it coming but was insensitive to forestall the unfortunate occurrence which has since gone viral. 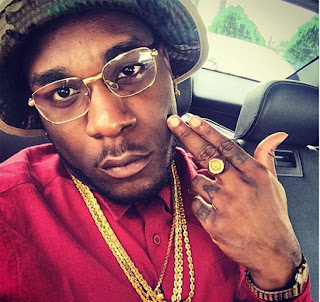 Speaking to E-daily through his manager, Silas, he disclosed that Burna Boy had initially threatened to deal with him for speaking ill of Pastors. “The arrested suspects confessed that Burna Boy contracted them through a third party to teach Mr. 2Kay a lesson because he granted HipTV an interview, where he corrected Burna Boy for saying negative things about Nigerian pastors. 2Kay said Burna Boy shouldn’t have spoken ill of pastors because they are anointed men of God so he can’t be talking about them in that manner. After the interview, Burna Boy sent a message saying “You better have that energy when I come for you because I’m coming for you”. We thought it was just an empty threat but unknown to us he was serious about it. All along we didn’t want to talk about it because the police are still doing their investigations. However, he confirmed he has no intentions to press charges against Burna Boy because he is a peace loving person.